Amidst the slow growth of property markets across the Asia-Pacific region the Philippine capital of Manila leads recording the strongest growth in the second quarter of this year (Q2 2018). Figures released by international real estate firm Knight Frank show that Manila’s prime office rentals increased 2.4 per cent in Q2 2018 over Q1 208 (QoQ), recording an impressive 10.6 per cent year on year (YoY) growth from the same period in 2017. Between Q2 2016 and Q2 2017 Manila’s Grade-A office rentals grew by just 3.4 per cent. Despite skyrocketing inflation — up by more than 42.25 per cent YoY for the first half of 2018 compared with the first half of 2017 — demand and supply in the Manila’s office office sector continued on a positive trend. With construction and development continuing to gain momentum the number of new office buildings nearing completion will soon see an additional 1.5 million square meters (about 16.1 mln sq. 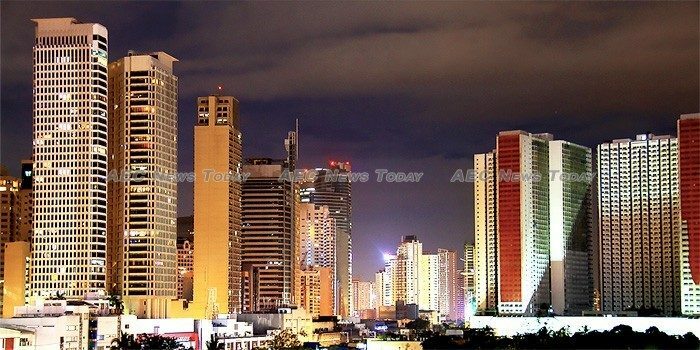 ft.) of office space becoming available in Metro Manila. 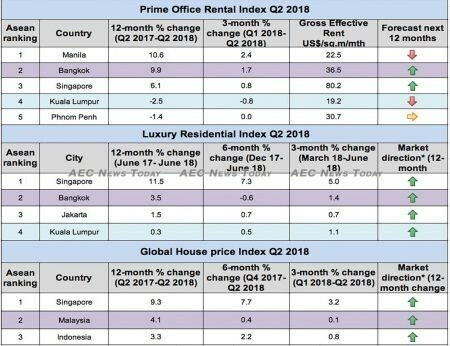 However, while effective prime office rental space is listed at $22.50 per sq.m/month, an increase of 3.2 per cent from the $21.80 a year prior, the price remains far below those in Singapore and Bangkok, where rentals increased to $80.20 per sq.m/month and $36.50 per sq.m/month respectively over the period. Singapore office rentals recorded a nominal QoQ growth of 0.8 per cent in Q2 2018 and a 6.1 per cent increase YoY as rents moved up in the wake of dwindling supply. 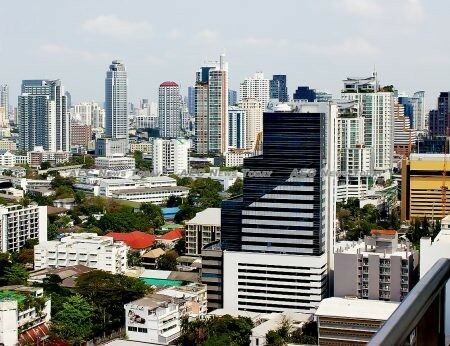 According to Knight Frank, Bangkok’s office space continues to sustain growth amidst ‘low levels of vacancy’ with the price of Bangkok Grade-A office space in the central business area (CBD) rising 1.7 per cent in Q2, bringing YoY rental growth to 9.9 per cent, up from 9.1 per cent the previous year. With foreign buyers boosting its luxury residential market with additional investment from mainland Chinese, Bangkok luxury homes increased 1.4 per cent QoQ, finishing six months of growth with a decline of -0.6 per cent, to record a 3.4 per cent increase over the previous 12-month period. A total of 87,600sq.m of new office space was recorded in Bangkok in the first half of 2018, accounting for a general supply of 4,968,458sq.m (53,480,036 sq.ft). Two new buildings were completed, the report said. While Bangkok grade-A office space grew by 50,600 sq.m (544,653 sq.ft) to 1,316,952 sq.m (14,175,553 sq.ft), grade-B and -C increased almost double that. In the first half of 2018 some 2,142,127 sq.m (23,057,663 sq.ft) of grade-B and 1,509,379 sq.m (16,246,820 sq.ft) grade-C came online. Having bucked the trend of slowing growth in luxury home prices, Singapore’s luxury residential sector recorded a 5 per cent increase in Q2 2018 over Q1 and a six-month increase of 7.3 per cent to see YoY growth of a respectable 11.5 per cent. However, taking the shine somewhat off the growth during the period was a 5 percentage point increase in the Additional Buyers Stamp Duty (ABSD) rates for Singapore citizens or foreigners buying property in Singapore, a 10 percentage point increase for entities, with developers slugged a further 5 percentage points on top of that. At the same time loan-to-value (LTV) limits were tightened by 5 per cent after private home prices in Singapore increased by a steep 9.1 per cent over the past year, with transaction volumes soaring on the back of heated demand. 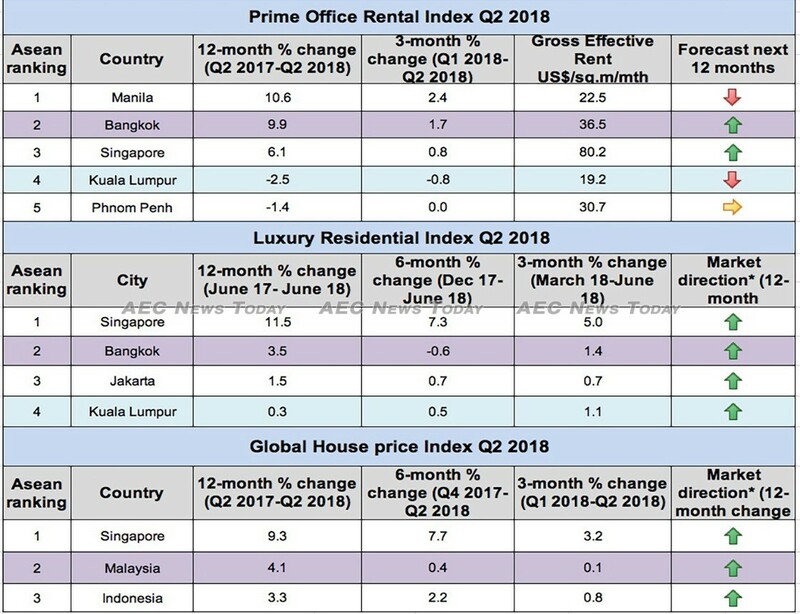 In other parts of Asean the Phnom Penh office rental market remained flat with no growth over the quarter, which saw its YoY growth drop to -1.4 per cent with Phnom Penh Grade-A office rentals charging $30.7 per sq.m/month, down from $31.10 in the same period last year. The city of Phnom Penh is saturated with the sights and sounds of construction as investors and developers pile up the market with high-end condominium towers, many of them built for sale exclusively to Chinese customers and remaining empty long after construction is complete (See: Phnom Penh’s glut of empty condos and homeless urban poor). According to Century 21 real estate there is currently more than 110 condominium towers both finished and underway in the city, comprising more than 36,742 units. Also heading into the wrong side of the growth table was Grade-A office space in Kuala Lumpur which saw a -0.8 per cent fall QoQ driving YoY loss for the 12 month period to -2.5 per cent. Despite this the cost of rental space increased to $19.20 per sq.m/month, up from $16 a year earlier, ‘indicating that rental and occupancy levels are holding firm despite the oversupply of space in certain locations in Klang Valley’, the report said. The news about luxury residential property is also not good for the Malaysian capital, where growth adjusted slightly to 1.1 per cent QoQ. Six-month growth eased to 0.5 per cent to see YoY growth finish at a miniscule 0.3 per cent. Considerably better than the -1.5 per cent decline recorded for the same period in 2016-2017. Despite this the report claims that Kuala Lumpur remains one of the most preferred destinations for property buyers and investors alike, and the lowest priced among other Asean property markets covered by the report. According to Knight Frank KL “will remain as the well-liked investment destination among foreigners as prices are still reasonable as compared to other major Asian cities. “Unlike cities such as Hong Kong and Singapore, where foreign buyers are subjected to additional buyer’s stamp duty, Malaysia’s residential market remains relatively investor-friendly to foreign buyers”, said Kelvin Yip, associate director of residential sales and leasing at Knight Frank Malaysia. Following the recently concluded election, coupled with a resilient economy, there are clear signs of improvement as the policies of the new administration continue to become more transparent. Accordingly Knight Frank expects the property market to pick up with more enquiries and investment activities. Also experiencing meagre growth was the Jakarta residential market which saw a six-month growth of just 0.7 per cent to finish just 1.5 per cent up YoY. While the strong growth experienced by Singapore and Bangkok Grade-A office rentals over the past year is forecast to continue over the next 12 months, the market is expected to stay flat in Phnom Penh. Manila and Kuala Lumpur are projected to experience negative rental growth. 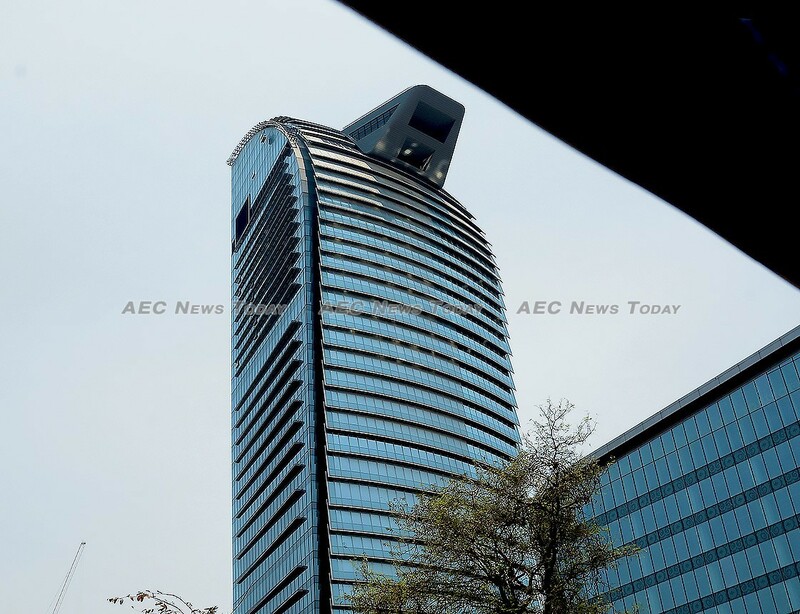 New projects in Bangkok will add more than 240,000sq.m (2.6 million sq.ft) in non-CBD areas up to the end of 2019, with an additional nine office buildings amounting to 599,185sq.m (6,449,574sq.ft) entering the market from 2020 to 2023. Singapore, especially, is likely to continue outperforming others in the region until 2020 given the limited supply of Grade-A office space in its CBD over the medium term along with the recovery of larger occupiers such as financial institutions and oil and gas companies. However, Knight Frank says that by 2020 Manila, Singapore, and Bangkok will be three of the few markets expected to lead prime office rental growth in the region, forecast to record double-digit increments of more than 19.1 per cent, 15.8 per cent, and 11.4 per cent respectively. 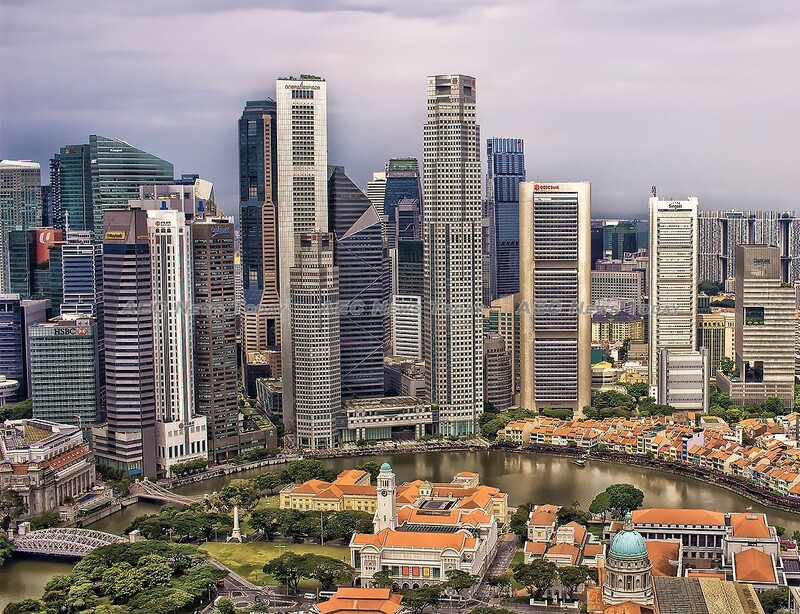 The Singapore residential market, however, is not so rosy with the Singapore government’s ‘cooling measures’ expected to result in many residents keen on making property purchases channelling their interests to overseas markets instead of domestically. Showing no signs of easing its policy, National Development Minister Lawrence Wong said recently that “the government has been monitoring the property market closely. We are very concerned that prices are running ahead of economic fundamentals. These views are supported in a complimentary Knight Frank report, the Q2 2018 Global House Price Index, which shows that island-wide private condo prices in Singapore increased by 9.3 per cent YoY, a 190.6 per cent jump on the 3.2 per cent QoQ growth in Q2 2018 that drove six-month growth to 7.7 per cent. 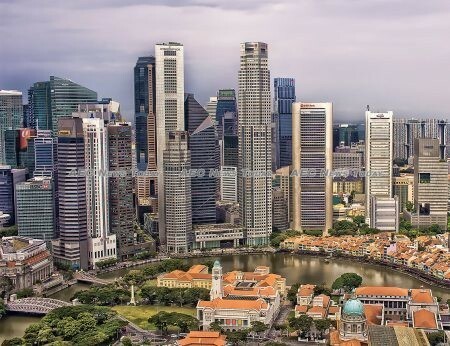 According to the report, Singapore ranked ninth in Q2 2018 for global house price rises, topping other regional housing markets including Malaysia, which had previously held the mantle, but in the latest report finished at 31 in the index. Claiming that the market has bottomed out, Knight Frank says there is considerable encouragement to be drawn from actions by the new administration, including an exemption for the housing sector from the goods and services tax (GST). Recording a meagre 0.1 per cent QoQ rise and six month improvement of just 0.4 per cent, house prices in Malaysia saw just a 4.1 per cent improvement over the same period in 2017. The only other Asean member state covered by the report, Indonesia, ranked number 34 over the period, house prices registering a meagre QoQ growth of 0.8 per cent, with six month growth of 2.2 per cent. Growth over the same period in 2017 was up 3.3 per cent.